The House of Representatives in Cyprus has approved legislation to help those in the Republic establish funds. The new Alternative Investment Organisation Act of 2018 replaces existing AIF laws with a law that allows the Registered Alternative Investment Funds to be established in Cyprus. This new legislation will potentially streamline the monetary cost and time-commitment of setting up an AIF in Cyprus. The official Cyprus Government Gazette is expected to publish the full details of the new legislation later in the year, but in the meantime, the following specifics have been released. A RAIF can be set up with or without an independent legal persona as a limited partnership, as a business with fixed or variable capital, or as a common fund, and it has no official lowest capital requirement. The Cyprus Securities and Exchange Commission will not be required to authorize it, but the fund will be supervised by a licensed AIFM. Funds will be limited to professional and/or knowledgeable investors and a local depository must be appointed. There is no limit to the number of involved investors and the fund can be closed or open-ended, but investors must register with CySEC. Income Tax Law in the Republic has been written and amended to appeal to senior fund administrators and foreign investors to attract them to Cyprus. To do so, it has been mandated that mutual fund investment or a partnership created under Cyprus AIF Laws and the CIS (Collective Investment Schemes) Law are not deemed a permanent Republic establishment. Instead, any revenue made from these investments are taxed in the investors’ home country. The amendment also states that executives of the manager or administrator of an Alternative Investment Fund with variable compensation can only be taxed 8 percent as an individual, capping off at 10,000 Euros each year. Other amendments apply to the special defense tax on profits and specific dividend distributions attributed to tax resident domiciled parties and tax resident companies in Cyprus. 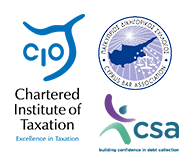 The Double Taxation Treaty network, EU membership, business-friendly atmosphere, geographical setting, and advantageous tax laws for individuals, companies, and funds make Cyprus a competitive area of the modern business world. The new legislation is certain to bring more businesses and international entrepreneurs to relocate and set up shop in Cyprus.